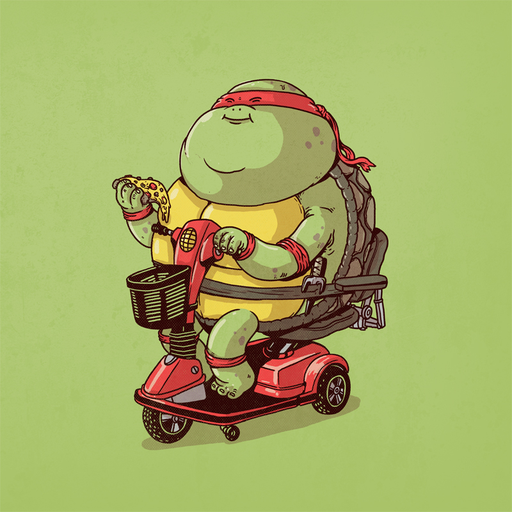 Pizza is my favorite food, and it's the only thing the Teenage Mutant Ninja Turtles eat. 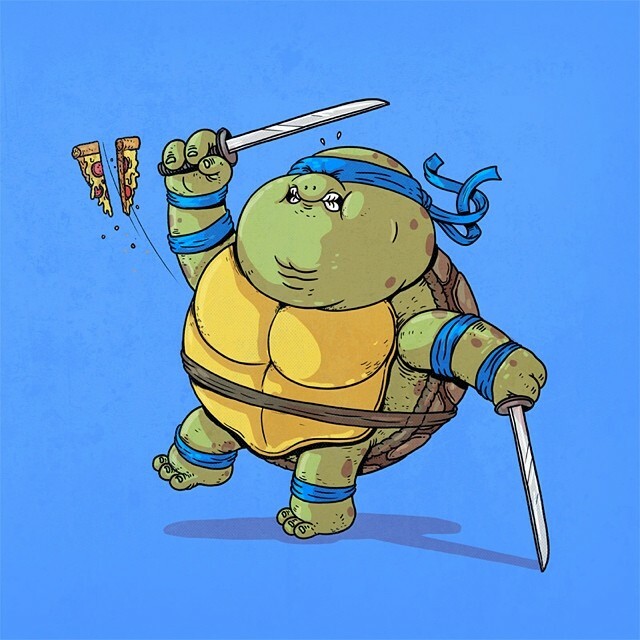 If I only ate pizza I would be as wide as I'm tall. 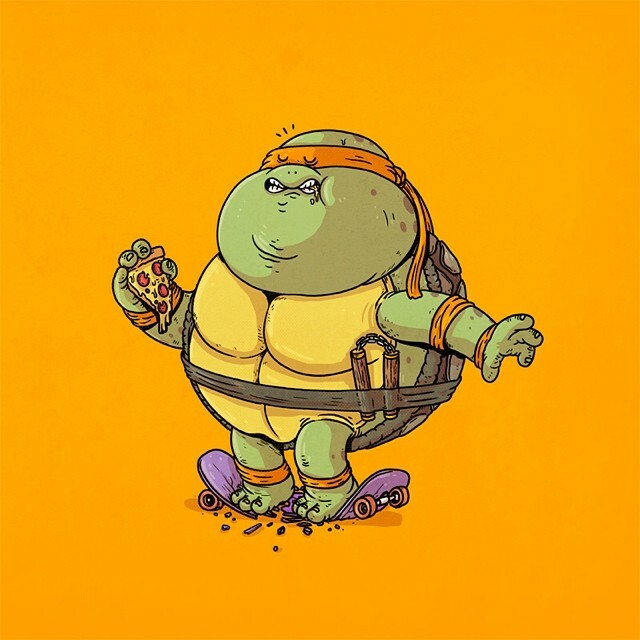 Alex Solis created a "Famous Chunkies" art series that visualizes the result of an all pizza diet. Thanks to XombieDirge.